South Korea says it views National Assembly Speaker Moon Hee-sang's recent demand for Japan's emperor to offer an apology over wartime sexual slavery as a call for sincerity from Tokyo on the issue. 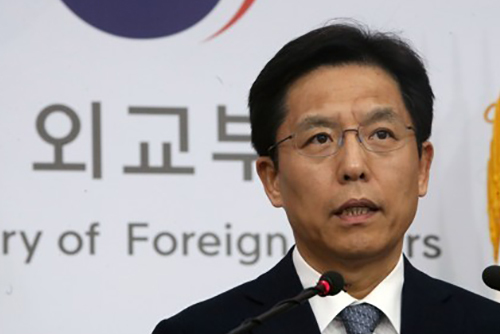 Foreign Ministry Spokesman Noh Kyu-duk related Seoul's stance in a regular media briefing on Tuesday when asked about Japan’s protest of Speaker Moon's remarks. The spokesman said that Tokyo expressed regret over the demand through a diplomatic channel. He added the South Korean government will continuously try to resolve the historical issue with Japan while making efforts to advance relations between the two countries. In an interview with Bloomberg last Friday, Speaker Moon said Emperor Akihito should deliver the apology before he abdicates in April, adding he is the son of the main culprit of Japan's war crimes.